Equip yourself with marketable 2D and 3D design skills by passing the Autodesk Certified User Exam. Autodesk Certified User certification confirms students have the skills necessary to continue and excel in their design careers. The Autodesk Certified User Exam has been specifically designed to give students hands-on, industry experience. The 50-minute exam combines multiple-choice and performance-based questions to ensure students have an understanding of the Autodesk software. 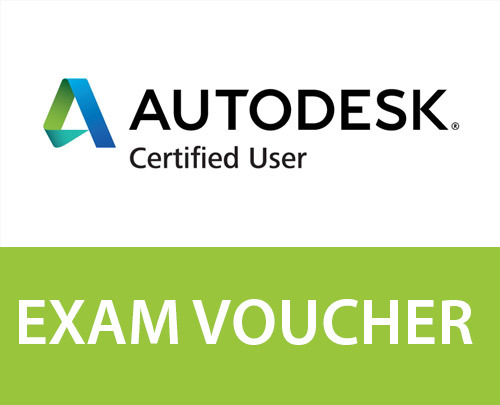 The Autodesk Certified User Exam is available for AutoCAD, Revit, Inventor, 3ds Max and Maya. Students are required to have taken an Essentials course and have 50+ hours experience of the required software. Please call us on 01403 784139 if you have any queries. This ACU voucher is valid for 12 months after purchase and includes a free single-user practice test access code which can be used 50 times. Please get in touch to book an exam date. 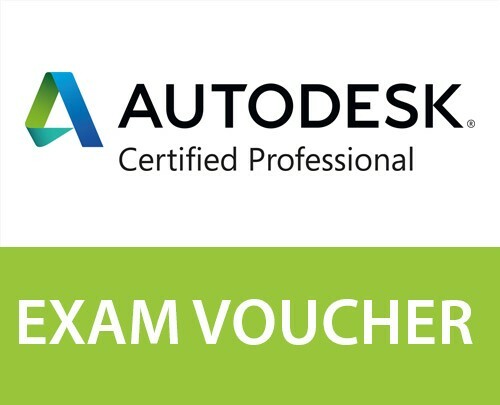 Validate your skills to employers and clients with Autodesk certification. Gain a competitive edge in a highly competitive industry with an Autodesk Certified User Certification. 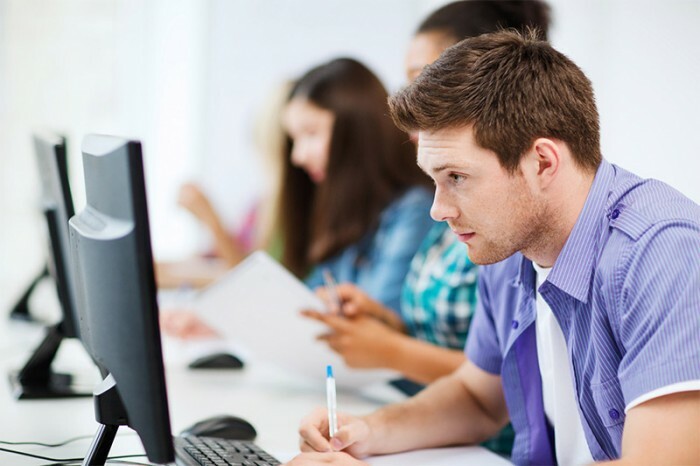 The Autodesk Certified User exams are a variety of multiple-choice, matching and performance-based questions to test students’ knowledge on the specific Autodesk software they have been using. Students will be notified about the curriculum before taking the exam. We are one of the only Authorised Autodesk Certification Centres in the UK and we are also an Authorised Autodesk Training Centre, training hundreds of students per year. Stand out from the rest with an industry recognised certificate to prove your expertise with the Autodesk software portfolio. Strengthen your existing skills and develop new skills through the curriculum of the Autodesk exam. Not only will you gain confidence in the software but you will also gain a sense of personal satisfaction and achievement from being awarded an Autodesk certification. Certification identifies you as an accomplished employee who is committed to your job in your particular industry. The credential is also accepted worldwide. Use the Autodesk Certified logo on your portfolio, CV or website that proves your skill level. NEW* Receive an exclusive digital Autodesk Certified User – allowing you to display your software skills on social media platforms such as LinkedIn, Twitter and Facebook, as well as on email signatures and online portfolios. Employers can click on your badge to verify and learn more about your proficiency with Autodesk software. 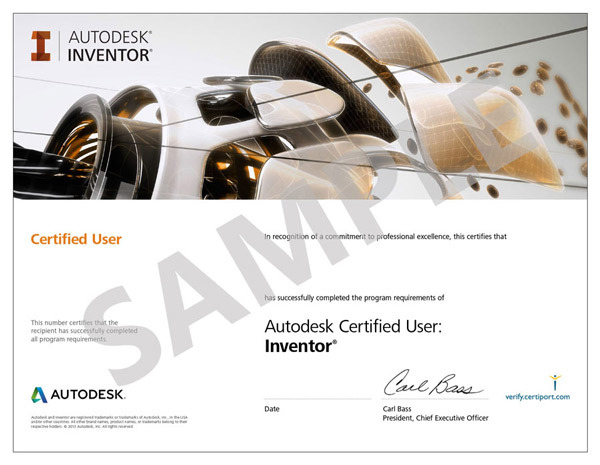 Who should attempt Autodesk Certifed User certification? The certification credentials are for anyone seeking to validate their knowledge of Autodesk software. The design and visualization industries are competitive environments, where only the best stand out. Anyone who uses Autodesk software for professional reasons can benefit from the program by emphasizing their skills and knowledge with an official certification from Autodesk. An individual who has achieved Autodesk Certification has validated their knowledge and skills of the performance tasks specified for the specific examination. What is the Autodesk Certification Program? The Autodesk Certification program enables experienced users to receive special recognition for their knowledge of Autodesk software applications. What do I receive when I become certified? 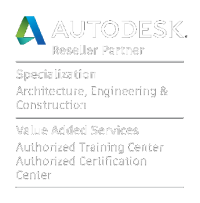 When you earn Autodesk Certification status you earn the right to use the official Autodesk Certified logo in marketing your Autodesk skills (on business cards, websites and Résumés) as specified in the logo usage guidelines. You also have access to your electronic Certificate, and if you choose, you may request your certification results be available in the Certified Users database. How do I practice beforehand? We would advise to take an Essentials course beforehand, as our Essentials courses follow the same syllabus as the Autodesk Certified User Exams. This voucher includes a a single-user practice access code which includes 50 uses on the Gmetrix test portal (provider of the Autodesk exams) which enables you to practice in your own time. To redeem your exam voucher you must contact us on 01403 784139 or send an email to info@bmarq.co.uk to confirm a date you would like to take the exam. Exams must be taken prior to the expiration date. Once purchasing this voucher we will also send you a single-user practice access code which includes 50 uses. Please note, Prodigy Learning reserves the right to terminate usage if any misuse is suspected. Take the exam at our Testing Center at Benchmarq Ltd, 9 Laura House, Jengers Mead, Billingshurst, West Sussex or Benchmarq Ltd, Newark Beacon, Cafferata Way, Newark-on-Trent, Nottinghamshire. Inform us prior to exam you wish to redeem this voucher. Prior to the exam we will send all applicable exam information and revision notes to you.